The security as a direction of scientific-practical activities. The security as a scientific category. Terminology. Main tasks of the security. Relation to other academic disciplines. The security as a research field. A problem-solving approach to the security. A social system approach. Theories, methods and levels of analysis of security. Research methodology of security, national interest. Science, technologies and innovations as a security base. Political security management. Control systems. The security as a basic need of humans, society and state. Theory, methods and levels of security. Absolute and relative security. Basic principles of construction of security systems. Basic rights and fundamental freedoms, territorial integrity, independence and sovereignty. Democratic functioning of the state and the civil institutions, preservation and increase of the national wealth. Structure of national security. State and public security. Economic, energy and information security. Personal security and security systems. National interest and national security strategy. Preservation of sovereignty, territorial integrity of the country and unity of the nation. Protection of population and critical infrastructure in case of crises, disasters, accidents and other risks and threats. A generous and foreseeable security environment. Effective functioning of national and international institutions for the purposes of the collective security, functional compatibility improvement and development. Keeping good-neighbor relations and ensuring regional security and stability. Prevention of and counteraction to corruption and organized crime. Security and defense administration and types of control thereover. National security policy and tools. National security practice. Present-day destabilizing factors. Roots of origin and preventive measures. The migration as a social problem of today. The demographic situation as a risk factor. Counter-terrorism strategy. Prevention, protection, prosecution and reaction. The importance of collaboration with other countries and international institutions. Anti-terrorism legislation. 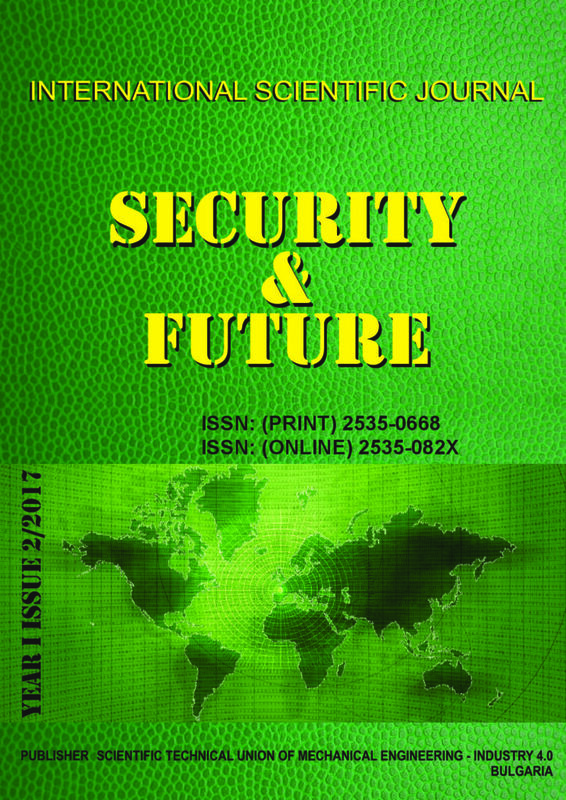 Legal, organizational and functional aspects of the international security. Diplomacy, alliances, information exchange, intelligence, counter-intelligence, participation in international organizations, war etc. European policy in the field of defense possibilities and armament, and relation to the policies of scientific research, industry and space. Ensuring physical security of qualified information. Measures, methods and means of physical security of classified information. The human factor.Essence of information security:. Aims of the information security. A requirement to the information security. Basic characteristics of the information security. Information security trends. Leading problems of information security. Basic principles of information security. Information security levels. Information security issues. Causes of arising security problems. The price of the security. Standardization of information security. History of standardization of the information security. Standardized management systems. Information Security Management System – ISMS. Approaches to the ISMS construction. A system approach. A pyramidal ISMS model. ISMS users. Cryptographic tools. Basic terms in cryptography. Cryptographic methods and applications of encryption. Electronic mail encryption. Digital signatures. Anti-terrorism equipment. Personal protective equipment for protection of the population. Mechanical security systems. Technological protection. Specialized armament. Specialized transportation. Control and monitoring equipment. Special equipment, training. Optical, optoelectronic and thermal imaging devices and systems. Electronic-optical systems. Video systems. Encoders and decoders. Personal communication devices. Remote access devices. Engineering facilities and devices for information system and network protection. Information protection software.